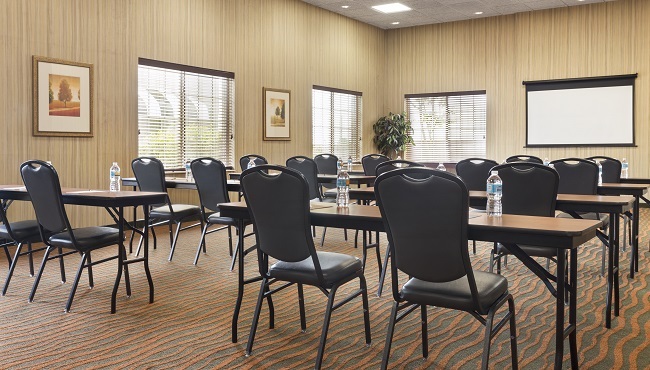 Located just off Interstate 75 in London, KY, the Country Inn & Suites provides an easily accessible space for meetings with up to 50 attendees. Our meeting room features helpful amenities like free high-speed Internet access, a pull-down screen and catering recommendations. Allow our professional staff to aid you in creating a personalized Web page for your attendees or to assist you in any way to ensure your event is a success.